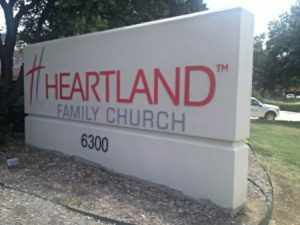 Monument signs are often found upon entering corporate facilities, schools, churches, and other buildings wanting to create an impressive entrance. 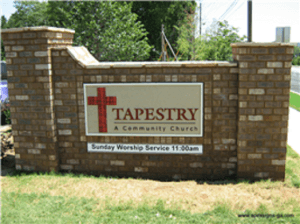 A monument sign is a free-standing sign, made from a stone, marble, brick, concrete, or metal structure bearing your business name, logo, and any other directional information you would like to add. We make high-quality, memorable monument signs that will make you stand-out from other local businesses. 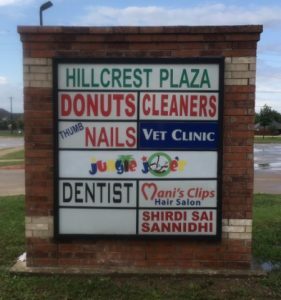 For many businesses, monument signs are a great idea for a marketing tool. These impressive signs are eye-catching, and memorable, giving the impression of durability and longevity to those passing by. Monument signs usually sit at eye-level, which means there is no post, pillar, or other structure needed to support your sign. Without any of these elements that are commonly subject to weathering, aging, and degrading, your monument sign will have a longer lifespan, making it an excellent long-term investment. Monument signs are used for many different business types, but are especially popular for multi-tenant or multi-building facilities, such as business parks, shopping centers, educational campuses, and manufacturing plants. Our multi-tenant monument signs can showcase the different business names within the center, utilized as a directory of facilities, or serve as an impressive greeting for a corporate office or manufacturing plant. If you really want a show-stopping, investment-worthy sign, then choose a monument sign for your business. Our monument signs are all customized to perfectly fit your needs, specifications, and budget. We have many different material and size options available, letting us design the best monument sign for your business. Our designers work with you to understand your goals and budget, and you are in charge every step of the way. If you are looking for a large, show-stopping sign, or just need something simple and straightforward, our professional sign team has the experience, knowledge, and tools to create the perfect sign for you. Monument signs are completely customizable, making it easy for us to design the right sign for your budget. In addition to monument signs, we provide complete sign services including indoor signs, outdoor signs, and custom signs. Our custom sign service will start with a Free Consultation, where we will discuss the look you want to obtain, provide some feedback and suggestions, and start to flesh out the beginnings of a design. After submission to our graphic designer who will create a mock-up of what your final sign will look like, it will be sent to you for your approval. At this time, you can make any changes, updates, or edits. Make sure that you thoroughly review your sign, including the accuracy of information such as phone numbers or web addresses, proper spelling, and overall design. Monument signs are intended to be a long-term signage element, so making sure everything is perfect is especially important on these projects. Once you have approved the sample design, we will begin production of the elements needed for your custom monument sign in our on-site custom sign manufacturing facility. 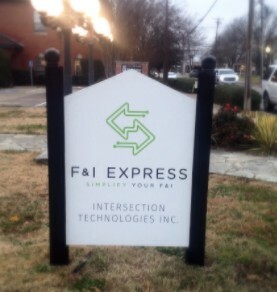 After all of the individual components have been completed, we will install your sign in your desired location. As a full-service sign shop, we handle every component of sign manufacturing. This includes ensuring that any required permitting is done, that your sign is compliant with any local ordinances, and that everything is safely installed. We will create high-quality monument signs that will present your business in the best possible light to the public. 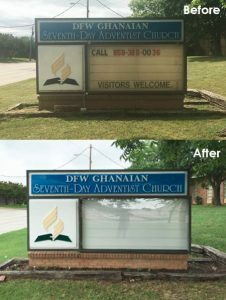 Call Irving Signs & Wraps today at (972) 325-0922 for a Free Consultation with a Monument Sign Specialist!